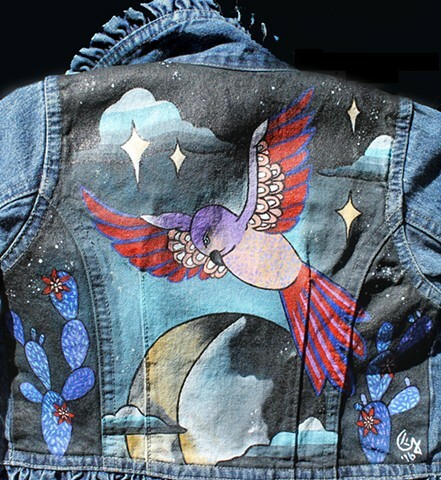 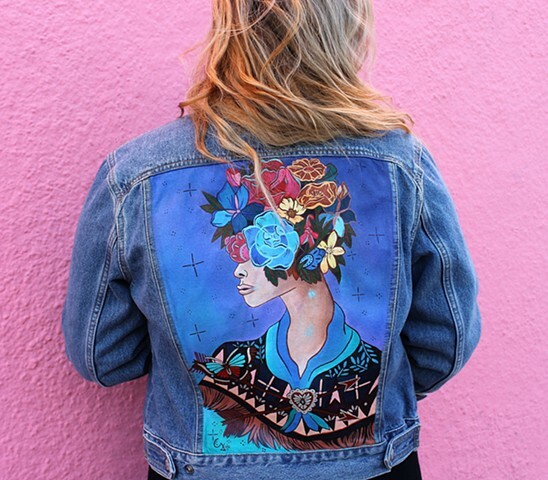 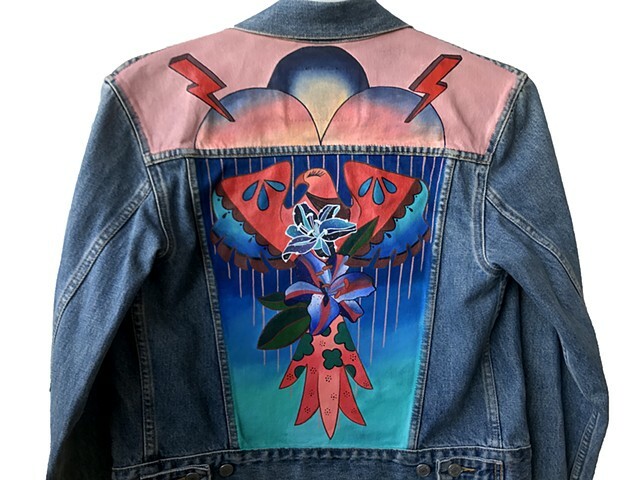 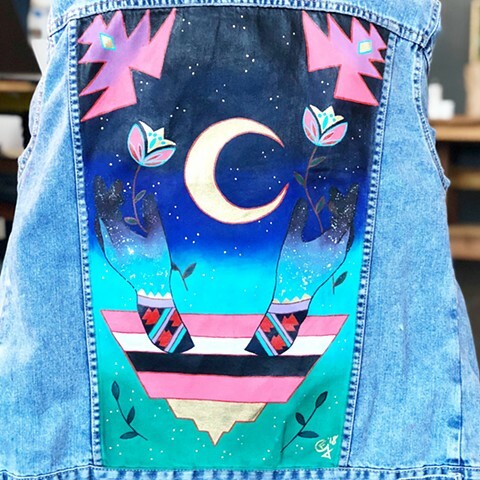 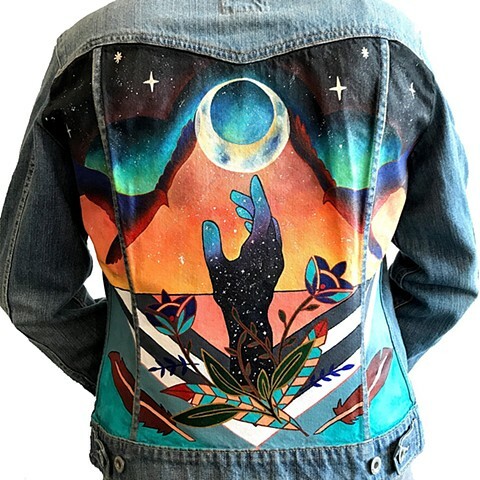 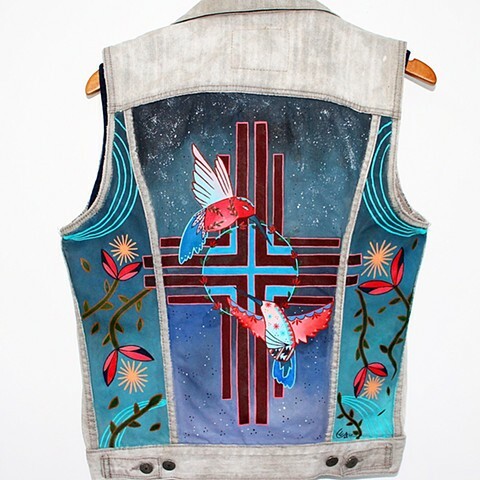 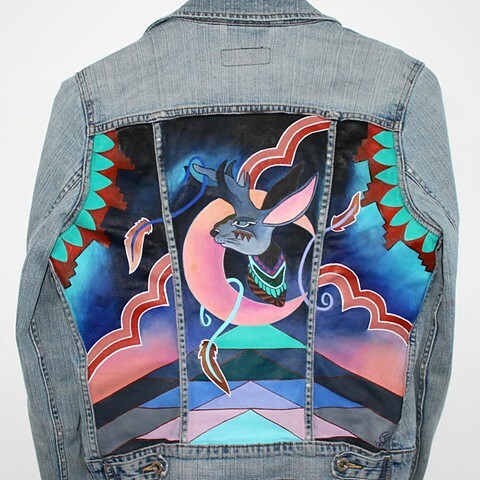 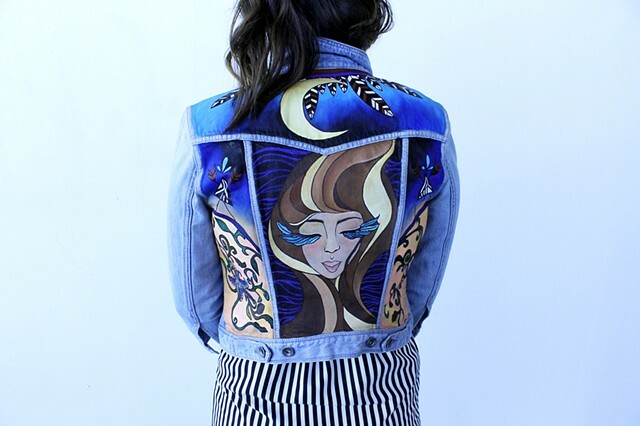 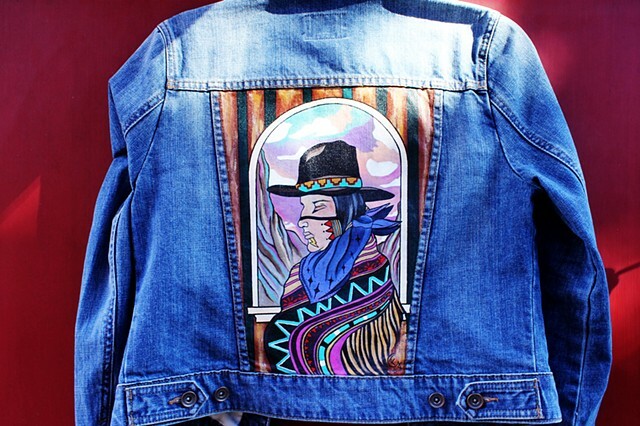 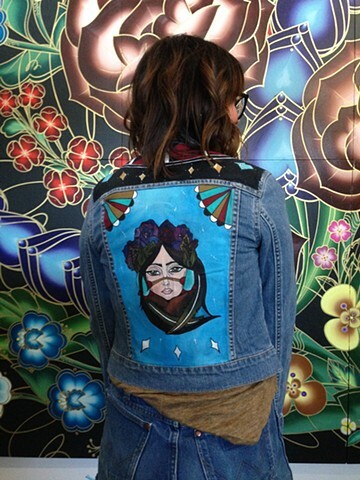 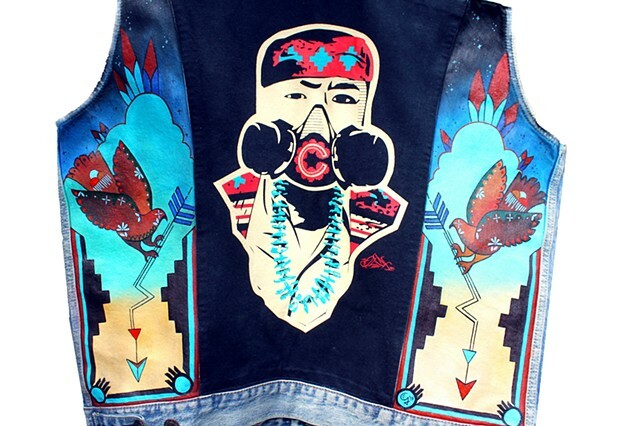 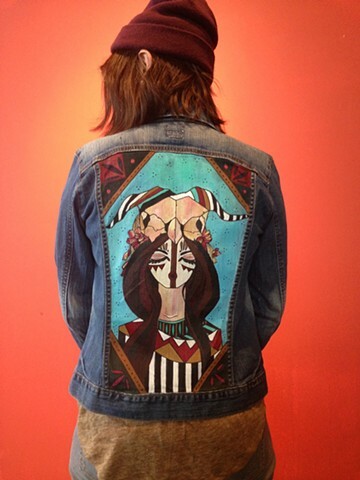 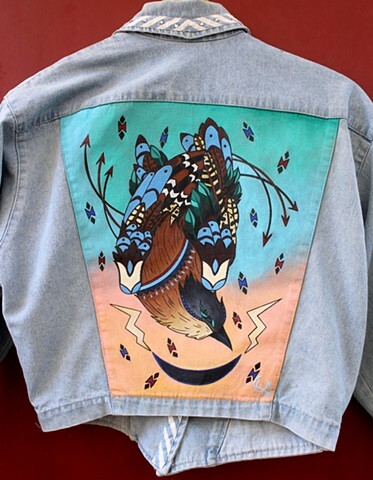 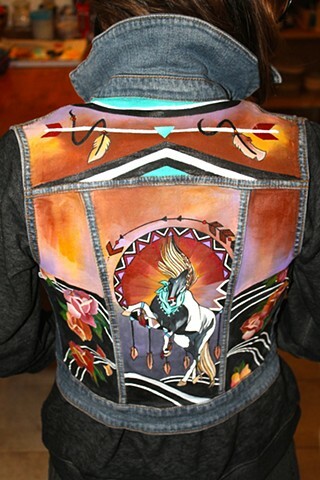 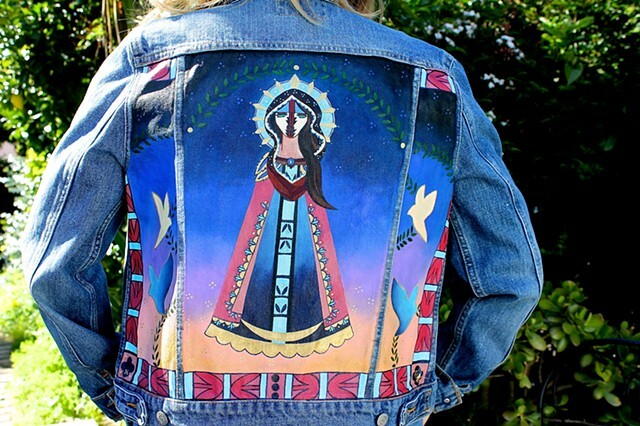 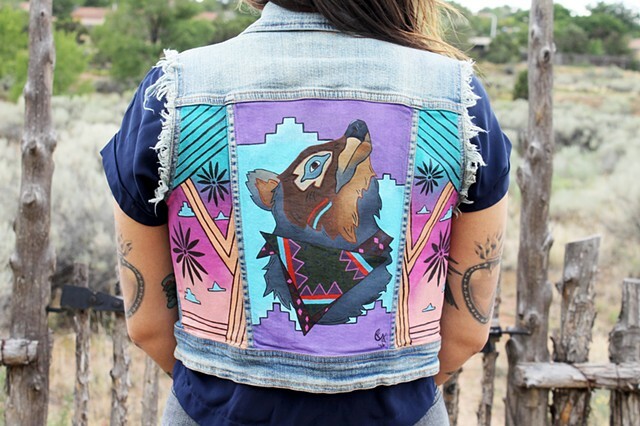 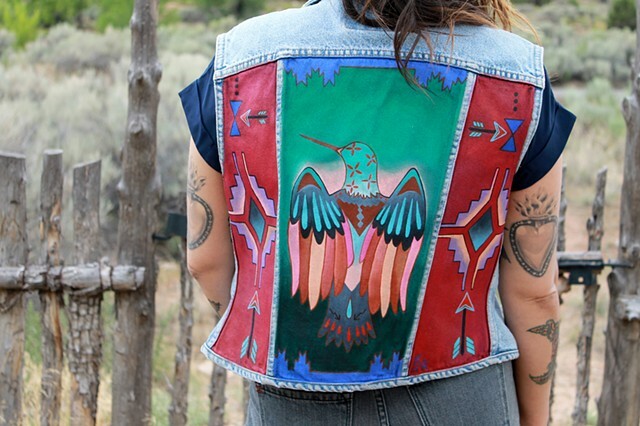 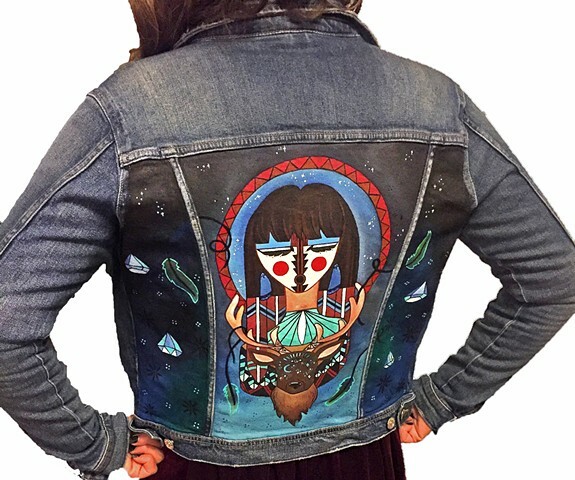 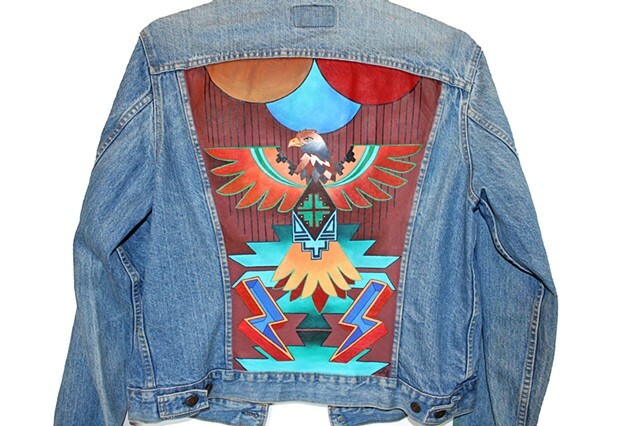 All jackets are found used or given to me for commissions to hand paint. 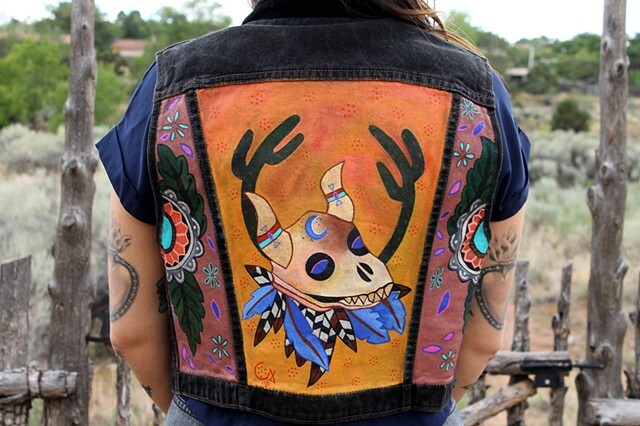 I am currently accepting commissions. 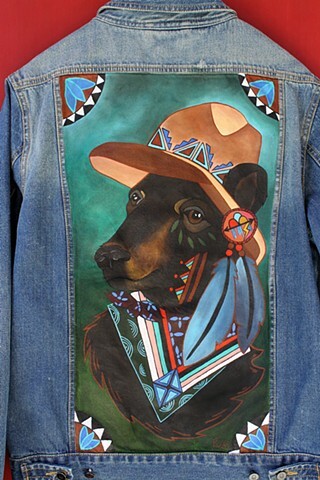 They are hand painted with acrylic paint and varnished with a polyacrylic sealer. 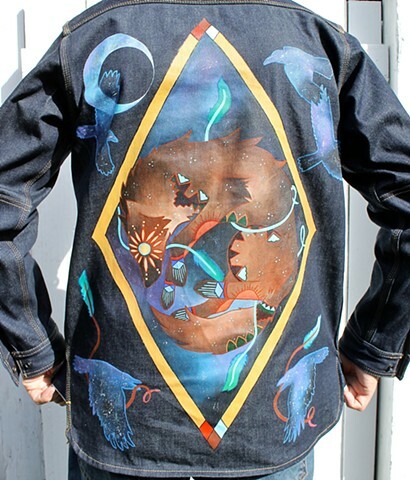 They are hand wash only. 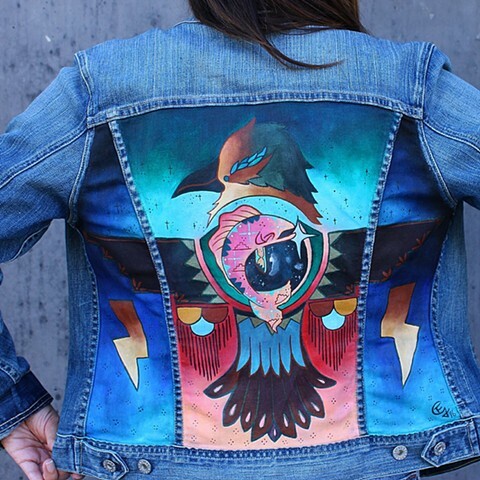 There is some natural cracking that occurs, but the paint is permanent. 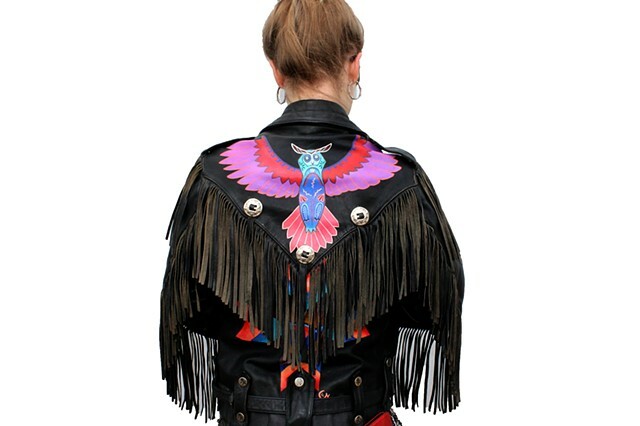 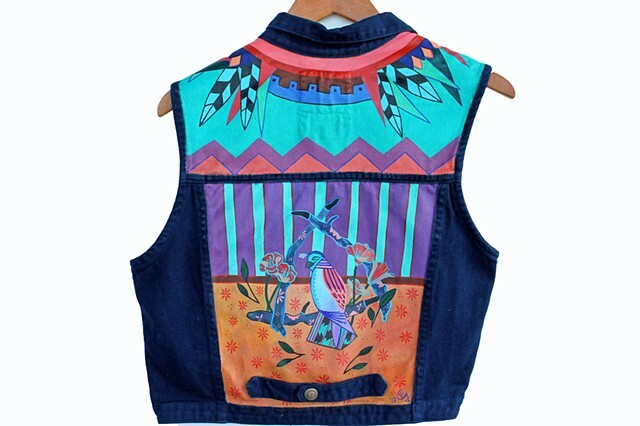 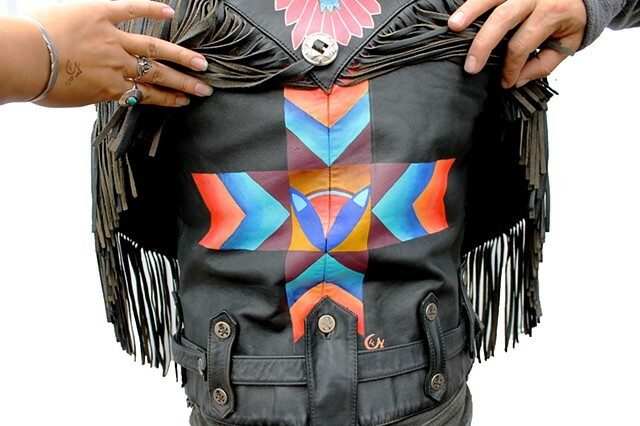 The jackets can be worn everyday, but they are show pieces. 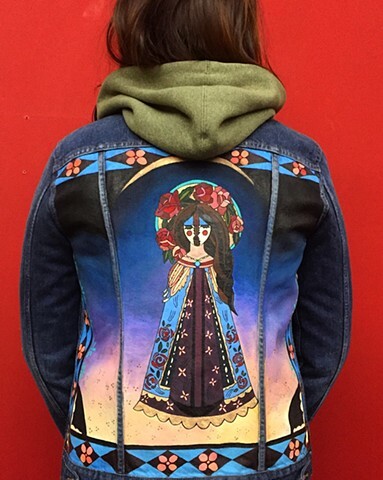 "El Caballo Solitario de Santa Fe"